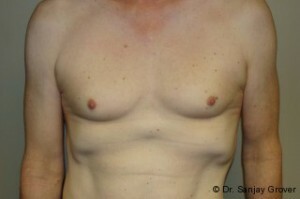 This patient was unsatisfied with her lack of breast tissue. 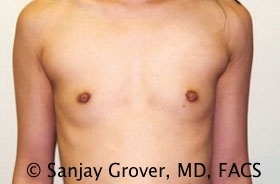 She underwent a breast augmentation with Orange County plastic surgeon Dr. Grover used a patrial retropectoral technique with high profile silicone implants; 475 cc on the right side, and 425 cc on the left side. 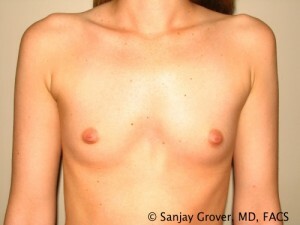 This patient went from a cup size B to a cup size D post surgery. She is very happy with her results.